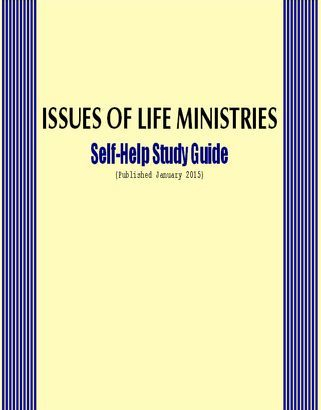 Issues of Life Ministries Self-Help Study Guide. Download it or Print it for Free! Click on the Study Guide cover to start your download. This is an easy to read self help study guide, with 20 pages. This self help study guide is printable and there is space for the reader to add handwritten notes.